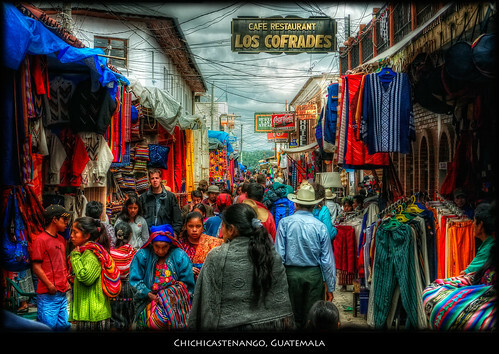 Chichicastenango Market, Guatemala, a photo by szeke on Flickr. The market in Chichicastenango, Guatemala is quite an event. Lots of crafts, lots of people, lots of tourists, and you’ll get pushed around if you obstruct the flow. If you still had any doubts about how colorful Guatemala can be, with this photograph you should be 100% convinced.